I came here for the wine – but not for a very long time. 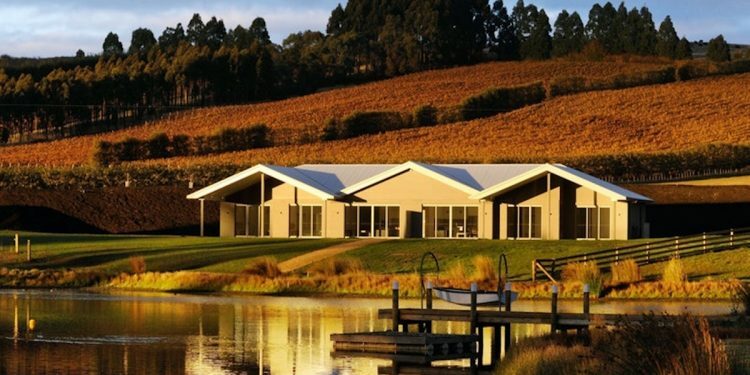 Whether you like red, white, rose’, you’re a sommelier or you just want a getaway; we’ve compiled a list of the most luxurious overnight winery stays that travels through some of Australia’s most renowned wine regions. Located a four hour drive north out of Sydney or a 50 minute flight from Bankstown Airport; Hangar House in Mudgee is definitely fit for those wine lovers who love to go above and beyond – quite literally. Sitting on the outskirts of Mudgee Airport with direct access to the runway, Hangar House is more than a pilot’s dream luxury accommodation. Starting from $195 a night, Hangar House is equip with six guest suites that also features an intimate lounge area with fireplace – perfect to crack open your new and locally sourced bottle of Burnbrae wine. At Bendooley Estate, expect nothing short of a luxurious, serene and bewitching stay. Located in Berrima, just a 10-minute drive from Southern Highlands centre, Bendooley Estate cottages sit along the bank overlooking Cordeaux Creek. 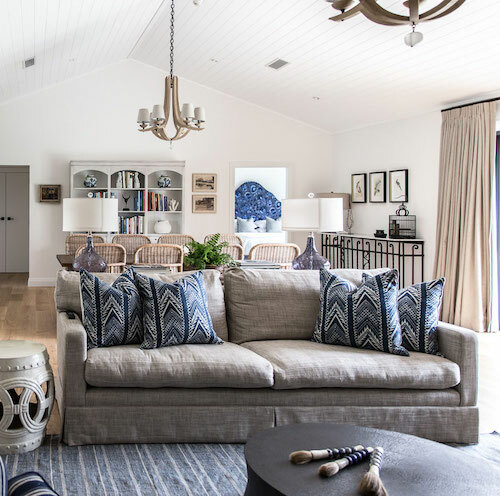 Individually designed, from $295 a night, guests can choose between the various sized cottages all fit with deep free-standing baths, upholstered Hamptons-styled furniture portraying the true elegance and glamour of Bendooley Estate. Their selling point? The picturesque surroundings of course. 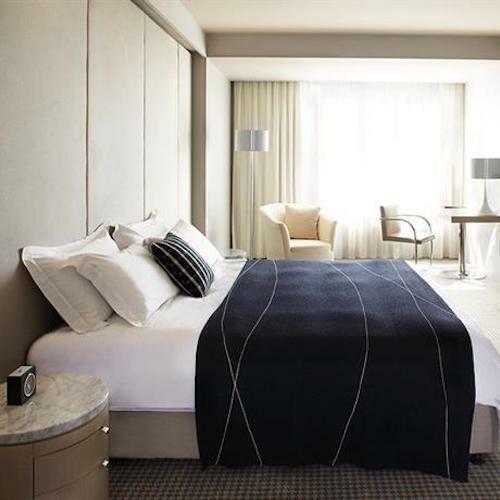 Located just under a 15-minute drive from Pialligo Estate, Hotel Realm seems like it is also just a finger touch away from Canberra’s Parliament House. 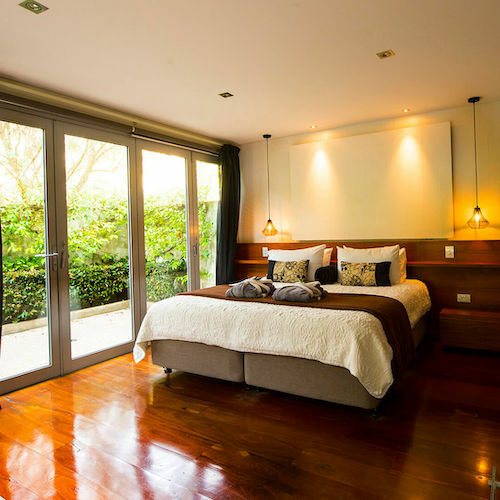 Equip with suites, residency and various penthouse rooms from $250 a night; guests at Hotel Realm will be able to enjoy the tranquility of a winery estate in the heart of the city. In between tastings, ensure you visit LiloBar, Chairman & Yip as well as Hotel Realm’s Mudd the Spa which offers facials, massages, body treatment wraps, hydrotherapy and a 25 metre indoor heated lap pool. 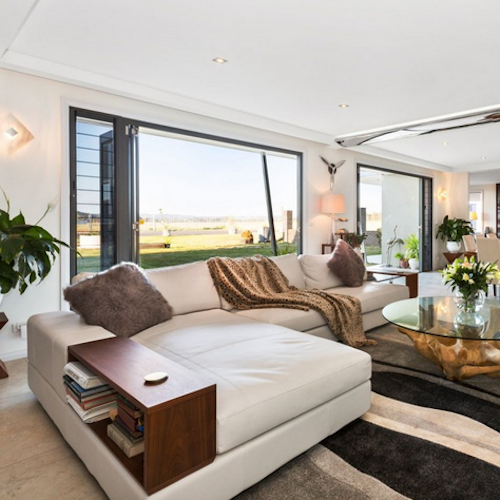 Sitting on the bank of River Derwent in Hobart’s Berriedale is Mona Pavilions – the definition of exquisite art, sophistication, luxury and tranquility. There’s no denying that a visit to Mona Pavilions is a trip in itself. Featuring eight exclusive dens named after influential Australian artists or architects; Mona Pavilions is more described as an art gallery meets five-star accommodation. 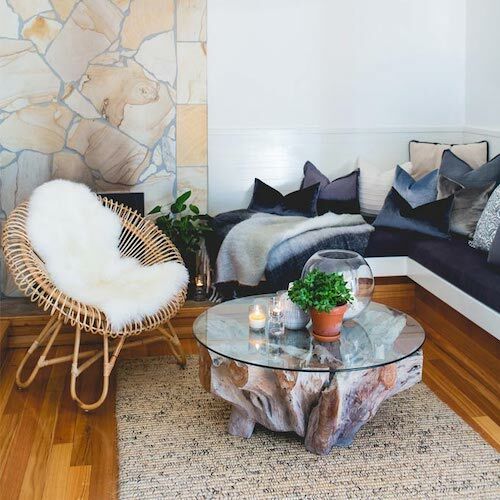 With their collection of over 1900 pieces, guests will also be happy to know that the Berriedale venue features their very own Cellar Door, Wine Bar and Void Bar for those who wish to enjoy a cocktail or two. Prepare to be bewitched at Relbia Lodge. 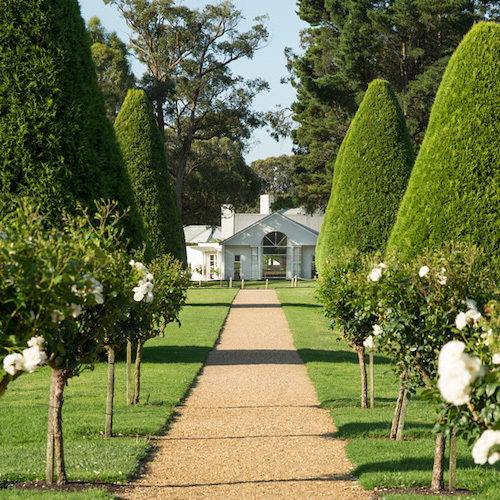 Located 15 minutes south of Launceston, Relbia Lodge is conveniently located in Relbia’s winery precinct. 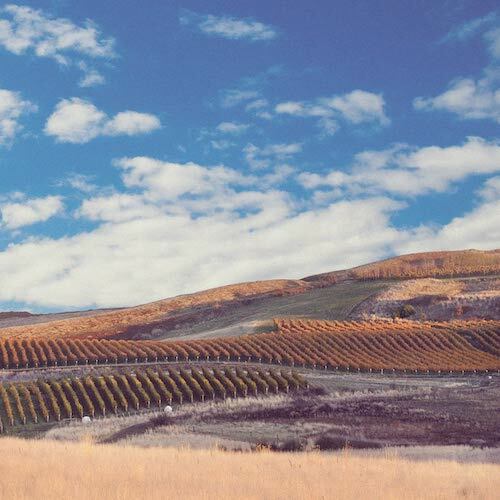 Parallel to Josef Chromy Wines; guests will be also be tantalized by the surrounding vineyards. From $980 a night, the lodge is equip with its own lake, jetty, four king-size bedrooms with ensuites decorated in chic, modern furnishings – the real beauty of Relbia Lodge is in the breathtaking rural views of the surrounding rolling White Hills. 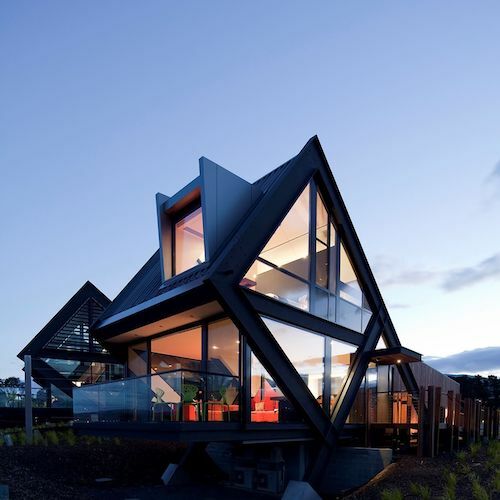 This northern Tasmanian boutique venue is the true definition of luxury winery accommodation. Apart from the handful of wineries, the large selection of exquisite restaurants and the many vineyards – Yarra Valley’s highlight can be found within the walls of Chateau Yering. Just a two-minute walk away from Yering Station Winery and under a 10 minute drive from Yarra Valley’s CBD. 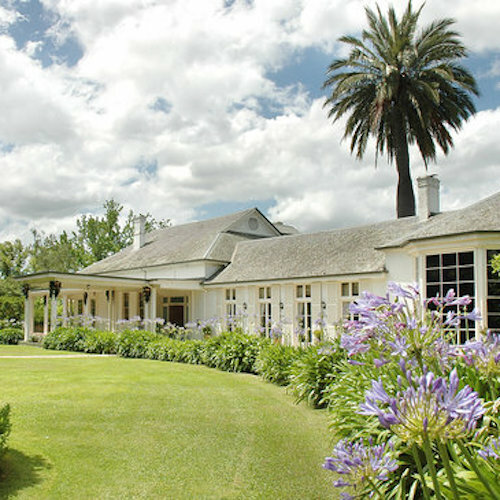 Australian Heritage Listed Hotel, Chateau Yering, is an 180 year old hotel found amongst 250 acres of meticulous gardens. Home to 32 quintessential luxury suites starting from $395 a night, the chateau is also home to Eleonore’s Restaurant, Sweetwater Cafe and even a scrumptious high tea available to guests and visitors. Sitting on 34 acres filled with tantalising gardens and vineyards, the 40 room boutique hotel is by far the best way to experience the true taste and ambience of the Peninsula. 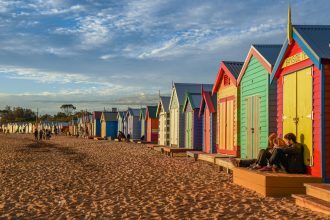 Just a little over an hour’s drive out of Melbourne’s CBD, Lindenderry is definitely a home away from home. From a $380 a night, guests can choose between the Balcony Suite, Garden Room, Linden Room and Courtyard Room for their stay – all decorated to encapsulate the true romantic and regional feel of Red Hill. 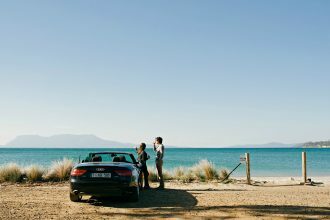 Equip with their very own winery and cellar door that produces a staggering five star winery rating – there really is no need to leave Lindenderry. 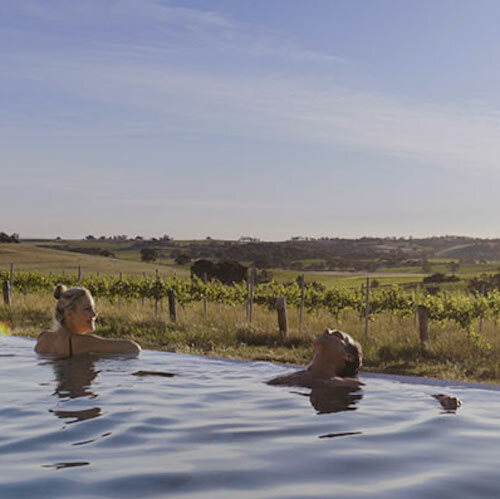 What better way to enjoy one of Australia’s most renowned wine regions than at The Louise in Barossa Valley – sitting elegantly hillside, in the centre of South Australia’s wine country. 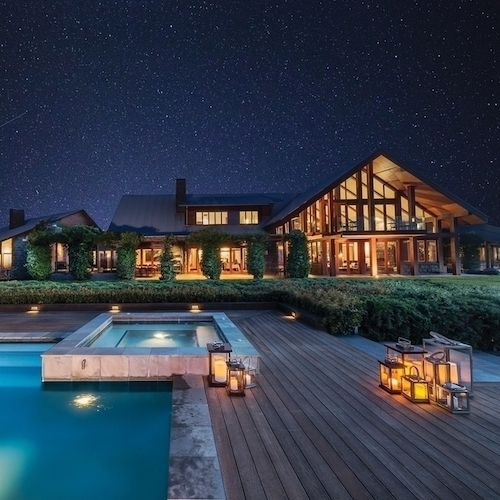 From $585 a night, guests will bewitched by the jaw dropping views from each of the suites – majority of which have first row views of the on-site vineyard terrace. An overnight or even week-long stay at The Louise can only be described as an epitome of exceptional food and wine, luxury accommodation in a spacious venue designed and decorated to absolute perfection and sophistication for a relaxing overall experience. Tucked away behind Keenan State Park, Losari Retreat is a mere 12-minute drive from Margaret River’s centre. Circled around a lake, Losari feels like a hidden oasis in Western Australia. Thriving on attention to detail, the private, luxury retreat has various villas for guests to choose from. Starting from $290 a night, guests of Losari Retreat can also choose to indulge in the venues many activities including horse riding, exploring limestone caves, whale watching, massage and spa treatments and of course – sipping your way through winery tours. 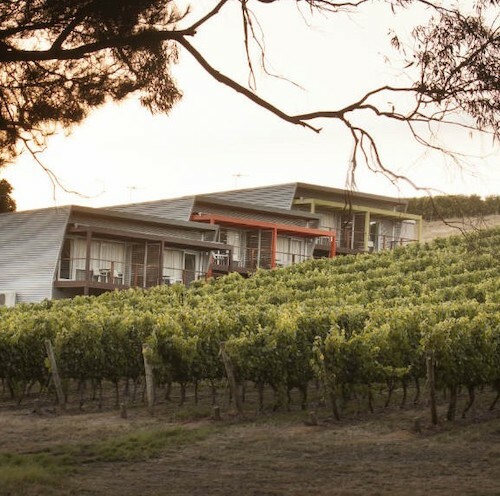 Empire Retreat is situated in the ideal location for wine lovers wishing to explore the nearby Yallingup wineries, as well as renowned Margaret River that’s under a 40 minute drive away. Starting from $295 a night, guests will be able to relax in one of Yallingup’s most exquisite luxury accommodations available. Empire Retreat was designed to provide an oasis for guests – their hardest decision will be choosing between the outdoor shower, deluxe spa bath or relaxing in front of the open fireplace. With the Empire winery located on the most fertile part of the property; there really is no need to ever leave Empire Retreat during your visit to Yallingup. Found perched up alongside Mount French in Queensland is Mount French Lodge – the ideal accommodation location for your stay in Scenic Rim. 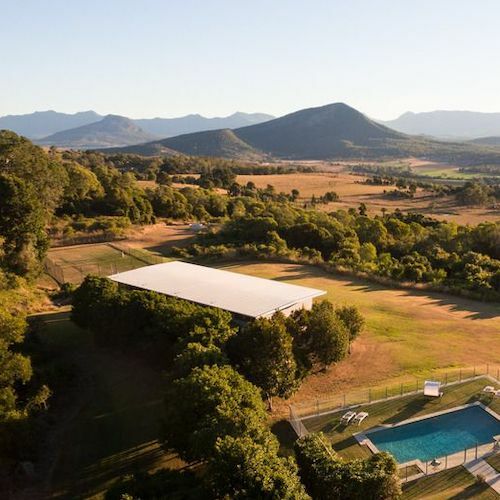 Just a 30-minute drive from the nearest winery haven, Mount French Lodge also has breathtaking views of Fassifern Valley and the Great Dividing Range from any room of the private property. Sitting on 100 acres with working cattle, guests will be in complete awe by the large property. With four private Mezzanine Suites starting from $400 a night – they are each designed to encapsulate the mesmerising views of Fassifern Valley.